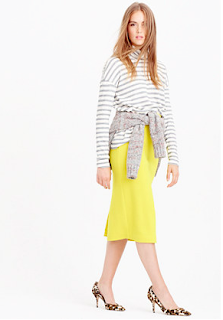 Yesterday we talked cozy scarves and today I thought we would continue the cozy with sweater knit skirts. 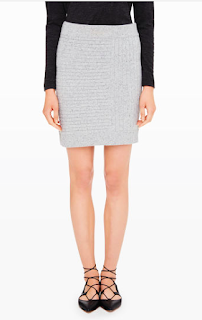 Yes it's sweater weather but why can't we mix it up and wear a sweater skirt? Talk about a punch of sunshine. Or pick this up in the 2016 pantone pink. 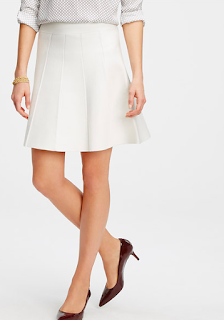 A super simple skirt with perfect details. 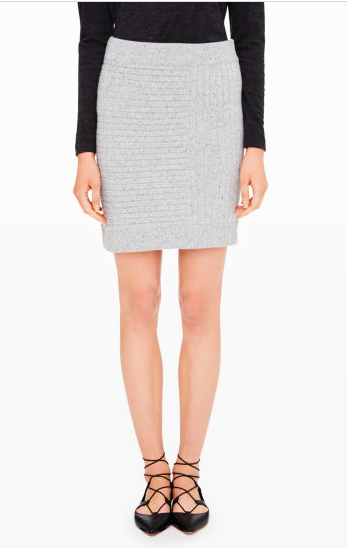 Ribbed pattern, gray flecked wool, just a classic piece. A beautiful winter white is so crisp and inviting. I love the flounce silhouette. Simple, classic, chic. This cozy skirt is the perfect staple for your winter skirt game. So when you think sweater weather don't just think crewneck, v neck, or turtleneck. Think skirts.